HIV/AIDS: Despite the fact that a maximum number of people in Kenya get killed because of mosquito-borne illnesses, HIV/AIDS continues to remain the leading cause of death in Kenya. It is estimated that more than 54,000 people die in the country because of HIV/AIDS, which spreads through infected needles or getting in touch with the other body fluids of an infected individual. HIV/AIDS cannot be cured, but its symptoms and aggressiveness can be controlled through proper treatment. Patients who contract HIV and eventually get AIDS get infected easily from by common bacterial and viral infections. Their immune system is terribly weakened and as HIV/AIDS symptoms such as fever, weight loss, fatigue, night sweat and sore throat manifest themselves. Coronary Heart Disease: Commonly referred to as CHD, this category of illness kills more than 9,000 people in Kenya each year. The condition cannot be cured completely, but treatment is available to control the symptoms and improve the health status of the patient. Coronary Heart Disease is a result of build-up of plaque in the coronary arteries. This leads to narrowing and as a result, the flow of blood to the heart is restricted. CHD may produce no symptoms at all, or it may cause mild to severe symptoms ranging from chest pain, discomfort to a massive heart attack. CHD patients are advised to follow a strict diet and bring a few lifestyle changes. In addition, they are treated with the help of medications, heart surgery and angioplasty. Influenza and Pneumonia: Influenza, commonly referred to as flu, refers to highly contagious viral infection that mostly spreads in the winters. Pneumonia is also a type of an infection that primarily affects the lungs of the patients. Influenza commonly affects the nose, throat and the respiratory tract. However, the bacteria or virus cause pneumonia when either the infection reaches the lungs or when they are inhaled directly into the lungs. It is estimated that more than 45,000 patients in Kenya die because of influenza and pneumonia, which is about 13.5 percent of the total deaths in a year. Diarrhoeal Disease: It is the second leading cause of death in children aged under five around the world and kills more than 23,000 people in Kenya every year. Diarrhoeal disease is characterized by an occurrence of three or more loose stools in a day. The condition lasts for a few days and the patient may suffer from acute dehydration because of excessive and constant loss of fluid from the body. Brain Trauma: A traumatic brain injury is the fifth leading cause of death in Kenya. It kills more than 14,000 people in Kenya each year. A brain trauma is characterized by an injury to the head because of an external force, for example, in case of a violent hit or blow to the head. It is the most common in case of an automobile accident or a sports injury. Brain trauma is typically treated with the help of medications, surgical intervention and proper rest. The immediate or delayed symptoms include blurry vision, problem in concentrating and confusion. Stroke: It refers to an injury to the brain because of poor or absolutely no blood supply to the brain. It kills more than 14,600 people in Kenya every year. It primarily affects people aged between 40 and 60. It is a kind of a medical emergency, which requires timely treatment. The patient suffering from stroke may experience trouble walking, understanding or speaking – the activities that are controlled by the brain. In addition, paralysis or numbness of the legs, arms or face are the other two common symptoms. 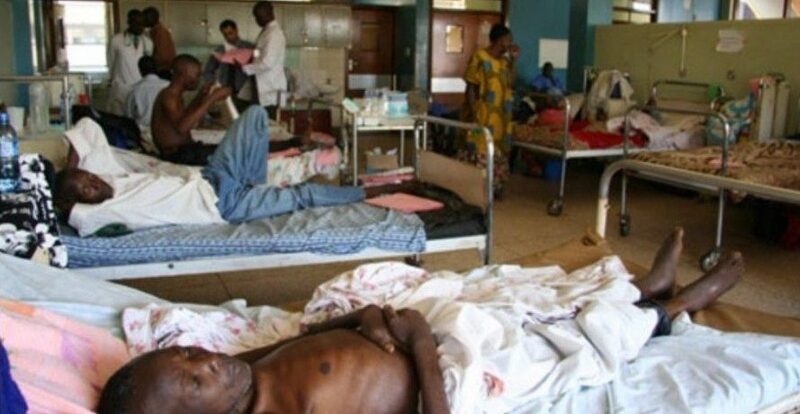 Liver Disease: Liver disease kills more than 3,600 people in Kenya each year. It encompasses a variety of conditions that affect the proper functioning of the liver and the pancreas. Fatty liver disease, Alcoholic hepatitis, Hepatitis A, B and C, liver cirrhosis and hemochromatosis are some of the major liver diseases that affect people of Kenya. Death usually takes place among patients suffering from end-stage liver disease. Epilepsy: It is a disorders related to the nervous system in which the normal functioning of the neurons in the brain is affected. It kills more than 3,600 people in Kenya each year. Due to a disturbance in the signal transmitting activity of the nerve cells, the patient experienced epileptic seizures. Epilepsy could be genetic or it could result because of a trauma or an injury to the brain. The symptoms of epilepsy are controlled with the help of a surgery, use of a device to control seizures or through dietary changes. Oesophagus Cancer: The cancer of the oesophagus kills more than 3,000 people in Kenya each year. Oesophagus is a tube that runs from throat to the stomach of the human body and cancer occurs when the cells that line this tube start to divide uncontrollably. Some of the common symptoms experienced by patients include difficulty in swallowing food, chest pain, heartburn, and change in voice such as increased hoarseness, indigestion and weight loss. Kidney Disease: It kills more than 3,000 people in Kenya each year. Kidney disease is characterized by reduced functionality of the kidneys, two bean-shaped organs located on either side of the abdomen. As a result of compromised functionality, the blood in the body of the patient is not purified and toxins are not eliminated from the body. Chronic kidney disease and acute renal failure are the two common types of kidney disease, which are treated with the help of dialysis or kidney transplantation. Cervical Cancer: This type of cancer kills more than 2,300 Kenyan women each year. It is a tumor of the lowermost part of the female uterus. Women at an increased risk of cervical cancer are advised to undergo PAP smear test and get HPV vaccination. Some of the common cervical cancer symptoms include fouls smelling discharge, unexplained vaginal bleeding and low back pain. Cervical cancer is treated with the help of surgery, radiation therapy and chemotherapy. Prostate Cancer: This leading cause of death in Kenya kills over 2,000 men in the country each year. Prostate is a small gland located in the make reproduction system, which is responsible for producing the seminal fluid that nourishes the sperms. Prostate cancer patients may experience no symptoms at all or feel difficulty at the time of urination. It is treated with the help of radiation therapy, chemotherapy, surgery or hormone therapy.